2019 Fiat 124 Spider Lusso 2D Convertible 1.4L I4 16V MultiAir Turbocharged RWD Bronze Metallic 25/36 City/Highway MPG Bob Frensley , home of the Superdealer has been selling cars/trucks for over 50 years !! Call 615-859-0000 or visit www.bobfrensley.com to schedule a test drive. #sellingcarslikecandybars #sellingtruckslikereesecups. 2019 Fiat 124 Spider Abarth 2D Convertible 1.4L I4 16V MultiAir Turbocharged RWD Gun Metallic 26/35 City/Highway MPG Bob Frensley , home of the Superdealer has been selling cars/trucks for over 50 years !! Call 615-859-0000 or visit www.bobfrensley.com to schedule a test drive. #sellingcarslikecandybars #sellingtruckslikereesecups. 2019 Fiat 124 Spider Abarth 2D Convertible 1.4L I4 16V MultiAir Turbocharged RWD Gun Metallic 25/36 City/Highway MPG Bob Frensley , home of the Superdealer has been selling cars/trucks for over 50 years !! Call 615-859-0000 or visit www.bobfrensley.com to schedule a test drive. #sellingcarslikecandybars #sellingtruckslikereesecups. 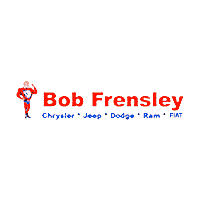 2019 Fiat 124 Spider Lusso 2D Convertible 1.4L I4 16V MultiAir Turbocharged RWD Black Metallic 25/36 City/Highway MPG Bob Frensley , home of the Superdealer has been selling cars/trucks for over 50 years !! Call 615-859-0000 or visit www.bobfrensley.com to schedule a test drive. #sellingcarslikecandybars #sellingtruckslikereesecups. 2018 Fiat 500L Pop 4D Hatchback 1.4L I4 16V MultiAir Turbocharged FWD Nero Black 22/30 City/Highway MPG Bob Frensley , home of the Superdealer has been selling cars/trucks for over 50 years !! Call 615-859-0000 or visit www.bobfrensley.com to schedule a test drive. #sellingcarslikecandybars #sellingtruckslikereesecups. 2018 Fiat 500L Lounge 4D Hatchback 1.4L I4 16V MultiAir Turbocharged FWD Blue 22/30 City/Highway MPG Bob Frensley , home of the Superdealer has been selling cars/trucks for over 50 years !! Call 615-859-0000 or visit www.bobfrensley.com to schedule a test drive. #sellingcarslikecandybars #sellingtruckslikereesecups. 2018 Fiat 124 Spider Classica 2D Convertible 1.4L I4 16V MultiAir Turbocharged RWD Gray Metallic 26/35 City/Highway MPG Bob Frensley , home of the Superdealer has been selling cars/trucks for over 50 years !! Call 615-859-0000 or visit www.bobfrensley.com to schedule a test drive. #sellingcarslikecandybars #sellingtruckslikereesecups. 2018 Fiat 124 Spider Classica 2D Convertible 1.4L I4 16V MultiAir Turbocharged RWD Bronze Metallic 26/35 City/Highway MPG Bob Frensley , home of the Superdealer has been selling cars/trucks for over 50 years !! Call 615-859-0000 or visit www.bobfrensley.com to schedule a test drive. #sellingcarslikecandybars #sellingtruckslikereesecups. 2018 Fiat 124 Spider Lusso 2D Convertible 1.4L I4 16V MultiAir Turbocharged RWD Bronze Metallic 26/35 City/Highway MPG Bob Frensley , home of the Superdealer has been selling cars/trucks for over 50 years !! Call 615-859-0000 or visit www.bobfrensley.com to schedule a test drive. #sellingcarslikecandybars #sellingtruckslikereesecups. 2018 Fiat 124 Spider Lusso 2D Convertible 1.4L I4 16V MultiAir Turbocharged RWD Black Metallic 26/35 City/Highway MPG Bob Frensley , home of the Superdealer has been selling cars/trucks for over 50 years !! Call 615-859-0000 or visit www.bobfrensley.com to schedule a test drive. #sellingcarslikecandybars #sellingtruckslikereesecups.